Well, this is bittersweet.. I just finished college. After five long grueling years – I’m done. I didn’t get a masters degree, just a bachelor’s with 18 months of work experience – which is why it took five years. Well, clearly I’m job hunting – which is no fun. As for fitness, I’m officially doing at-home workouts, which is scary but fun. It’s scary because there is a squat rack, 2 barbells, dumbbells, an ez-bar, plates, and cables on the squat rack. Thanks to my boyfriend, I have more to work with than most home gyms. It’s still scary though because I was used to my gym routine of getting on the stair master for 8-10 minutes to warm up, then doing free weights, cables, and finishing off with machines. Time flew by in the gym, and when I workout at home it’s too comforting. I can go to the living room, do laundry, and be comfortable. In the gym I push harder, have more options, and I’m generally a little uncomfortable (in a good way). Anyway, now that college is finally over I’m trying to rethink my approach to fitness. I’m still going to be losing weight – that’s non-negotiable. The real question is how do I change my workouts to be just as intense as workouts in the gym? I usually burn 200-300 calories easily every workout in the gym, plus I would walk about 3-4 miles a day from going to class, and go up 7-10 flights of stairs daily. In other words, I was super active. Now I’m searching for jobs, which means most of my day is spent doing house chores. I keep busy by cleaning, doing laundry, applying to jobs, and organizing – but it’s not the same as my activity level in school. I have to actively pursue my step goal for the day and it’s a struggle to reach 6,000-7,000 steps, nonetheless 10 flights of stairs. I’ve been managing to burn 200 calories per workout though, and that feels amazing. Either way, this made me wonder.. should I start a strength program for lifting? It would focus on squat, deadlift, and over head press (OHP), which are all done with a barbell – so it takes out the need for machines. Plus most accessory work can be done with dumbbells, a huge plus! what about bulking or cutting? I feel like I should bulk if I’m doing a strength-based program, right? Well, I don’t want to put on weight – not even muscle yet. I’m not where I want to be in terms of my weight and body fat, which is fine. I think I’m going to change my lifting style to be more strength-based, but I’m going to stick to losing weight. So essentially, I’m going to do squat, deadlift, and OHP weekly, but with no intention of gaining muscle or trying to gain a ton of strength (since it’s almost impossible to gain strength/muscle while being in a caloric deficit). 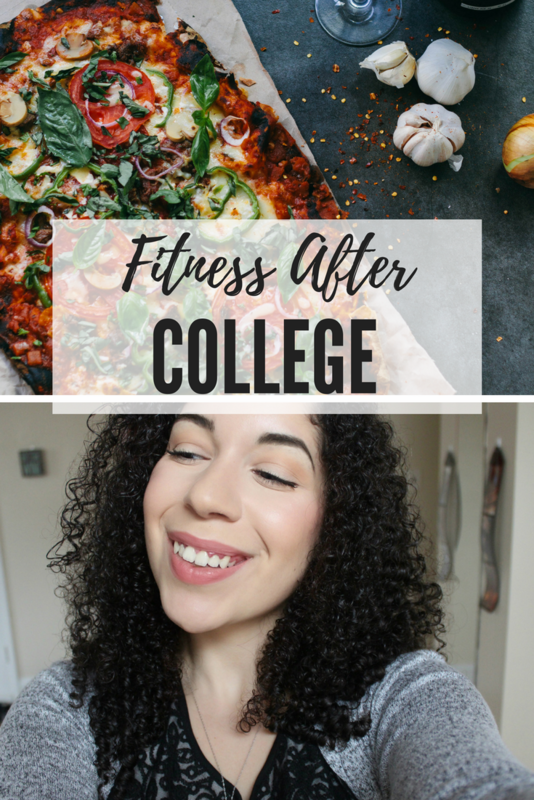 This is a big life change to be done with college, searching for a 9-5 job, while maintaining my fitness journey, blog, youtube, and instagram. Speaking of which, check out my youtube and instagram – I’m being way more consistent! Hope you’re willing to come along for the ride! Feel free the pin below! It would mean a lot to me!